Steve has managed the delivery of both large and medium size IT business transformation initiatives, helping his clients to align their IT strategy to support their business strategy. He specialises in the delivery of ERP, BI and in the last 10 years CRM centric solutions including single view of customer, loyalty management and eCommerce solutions, including the delivery of both Global and Pan European initiatives. Steve is a founding Director of Searchlight, has been delivering consulting services since 1997, and is a recognised thought leader associated within delivering IT enabled change, leading Searchlight’s Board Advisory & Enterprise Solutions Services. He complements his consulting experience with both consumer manufacturing and life science sector industry experience. 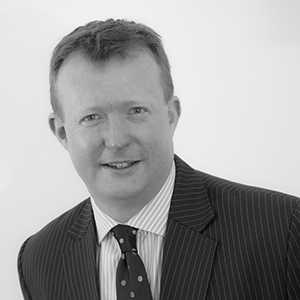 He has worked across a number of sectors but specialises in Life Science, Retail, FMCG and Consumer Products Sectors. Some of his clients include Brakes Foodservice, PPG, Birdseye, Boots, Balfour Beatty, Yell, Novartis, Hibu, Wyeth, Henderson, Fiberweb & Kingfisher. Outside of work he spends much of his time supporting his children on the hockey pitch at weekends, and finding time to run, cycle and ski whenever possible.